If you have a large family or are just short on time then a dishwasher can quickly become an invaluable domestic appliance within your home. So when a disastrous breakdown occurs do not delay call the expert team for help at Advanced Appliance Care, a proud member of checkatrade.com. They have been providing repairs to faulty domestic appliances for over 10 years to homes within Andover, Bournemouth, Christchurch, Gosport, Lyndhurst, New Milton, Portsmouth, Southampton and Winchester – and beyond. Advanced Appliance Care offers a professional same day service with no hidden costs at a time to suit you. All work is undertaken by fully qualified engineers who are able to offer competent friendly advice about repairs to your dishwasher repair or other domestic appliances and no job is too big or too small! The expert team at Advanced Appliance Care will always repair and replace parts where possible and can source from a choice of 1 million spare parts offering you a 12 month warranty on parts and labour. For a limited period Advanced Appliance Care are offering a fantastic discount of £10 off any repair cost when you make your booking online! 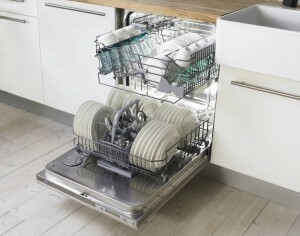 So, with professional and affordable help at hand, there’s no need to give up on your faulty dishwasher.